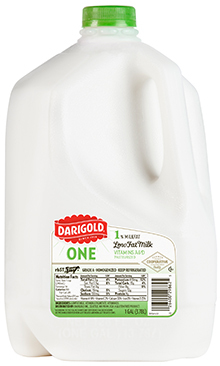 Also available in 1/2 gallon jug and 1/2 pint carton. Lowfat Milk, Vitamin A Palmitate, Vitamin D3. Gluten Free.